So you want to buy a dog crate? The question is, should buy a plastic or metal crate? My recommendation is that if you really want to save money from the get go, you should buy a quality metal crate. Why? It will last! First, I’m not referring to the cheap metal wire crates. Those break easily. Now tell me how the hell a dog who think he’s an escape artist is going to escape this! Yes the initial cost of a good aluminum dog crate can be relatively expensive at first, especially if you factor in the size, which usually cost on average about $500 USD. But for the peace of mind, a metal crate is worth the investment to my opinion. Just note that not all metal crates are created equally. Because each manufacturer have different designs and these certain designs can expose certain flaws. Click here to see some of the flaws. The point is that metal will not deteriorate and damage easily like how most plastic crates do. Metal crates can last a lifetime if maintained properly. But metal crates aren’t for everyone right? Right. Some dogs can’t get out of plastic crates while other dogs can. Therefore, some dogs do not really need a metal crate but that is quite difficult to determine early on. In some cases, people say that dogs of gentle breeds are fine with a good plastic crate while dogs of more active breeds are fine in metal. However, this is not always the case as very active breed of dogs can be just as fine in a plastic dog crate while gentler breeds can easily break out of them. Nothing is totally constant when it comes to dogs. Life is funny right? Personally, I have both plastic and an aluminum metal crates. I have both because they do have their advantages and can be useful for different scenarios. 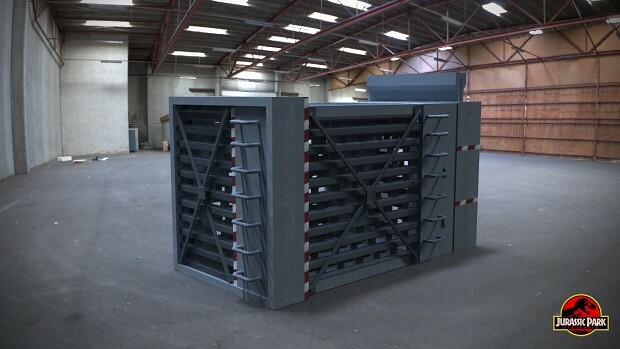 But read on to learn the advantages and disadvantages of metal crates versus plastic crates. Aluminum metal doesn’t rust as easily. Aluminum dog crates will not scratch as easily especially if they are covered in powder coated paint. A bit difficult to move around because they’re heavy. No insulation. Metal crates are not recommended during the winter because it is not comfortable for the dog. My metal crate for my GSD weighs about 40 lbs. (20kg). With my dog in it, it will weigh over a hundred pounds total. For smaller dogs, a metal crate can still weigh 25 lbs or about 12 kg. If you don’t mind the weight, then it would be the perfect. With all this said, plastic dog crates do have their advantages. Plastic dog crates are much lighter than metal dog crate. Parts can be easier to replace or customize with additional parts. Plastic has more insulation properties than a metal crate. The plastic material may deteriorate overtime. Comparably easier to escape then when in a metal crate. Perhaps the major disadvantage of plastic dog crates is that you will probably have to buy a new one every 8 years to 10 years. I maybe wrong but from personal experience, I did not have to replace my plastic dog crate because of damage from my dog. I had to replace my dog crate because the plastic material dried out and started to crack just 5 years. My dog still uses the plastic crate as I have duct taped the cracks but I won’t rely on it for the containment of my dog. This is the disadvantage of plastic made crates. After many years, plastic will start to lose it’s flexibility (softness) thus make it more prone to cracking as time passes. A note! As soon as a dog learns that it can escape from a confined area, I’m sorry to say but your dog will think he or she is “Harry Houdini”. Not only does escaping become a hazard, for your dog, it can become a fun addictive activity whenever you leave the house. The confidence your dog builds when it escapes out of its confinement is not a good thing. This is why it is important to teach your dog that their crate was not made for escaping and that if they try, escape is impossible. The only solution that has properly taught my dogs that trying to escape is a waste of time is by simply getting a good metal dog crate from the start. Furthermore, for training, a metal crate is the way to start especially with younger dogs. My reasoning to this is that it is important to teach a young dog that once in a crate, there is no way out when locked in. The main problem is, especially with young dogs (and adopted rescues), as they are still learning, they may not realize their crate is their home and security. Separation anxiety and other fears of isolation may cause the dog to want to get out. This is why it is important to crate train your dog. Just remember! It will take some particular dogs time to figure out a way get out of its confinement. A plastic crate is most likely easier to get out of. Once this happens, they will probably think that they are Harry Houdini for life and that will be a much bigger problem. Buying another plastic crate in this case will be like flushing money down the toilet. This is why I believe it is essential to eliminate this thinking from your dog in the first place and this can easily be done with a quality metal dog crate. Types of Metal Crates you should Avoid. Next article5 Must Have Top Dog Supplies!